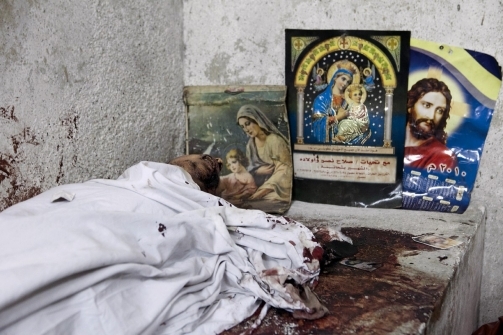 The Feb 13 issue of Newsweek had an interesting article about the persecution of Christians in the world. The reporter’s thesis is that via political pressure, Islamist states are basically bullying news agencies and humanitarian organizations into ignoring the persecution and virtual genocide of Christians. For fear of being labeled anti-Islamist or even worse, being attacked, the world has largely ignored the plight of Christians in many Islamist states throughout the Middle East, Central Asia, and Africa. I personally resonate with this topic on several fronts, and it’s finally given me an occasion to reflect on the incredible people I’ve met over the last few weeks. While in Thailand, I had the opportunity to be sharpened by, and be present with some of the most faithful and focused kingdom workers on the planet. They are serving and working through Central Asia. They have families. They have fears, hopes, and dreams. They have Gospel-fighting, identity issues. They fight to have faith in God’s purposes. All things like you and I wrestle with only they have the added pressures of getting kicked out of their countries, bodily harm, physical persecution, and hostility. Even with all of this, they continue to labor, pray, work, share, live, and preach the Gospel. Their stories remind me that Christian persecution is alive and well in many parts of the world, and their continued endeavors encourage me to continue to labor and endure for the sake of the Gospel. At the same time, such persecution should not be surprising. 1 Peter 4 tells us that we should not be surprised when ‘fiery trials’ come upon us because as we have identified with Christ, so we will suffer like him. Paul shares a similar sentiment. In Colossians 1:24, he rejoices in his afflictions, taking up in his body what is lacking in Christ’s afflictions for the sake of the church. This complex saying underscores the necessity of suffering for the advancement of the kingdom. God’s kingdom moves forward through the vicarious suffering of our Savior, and likewise, the vicarious suffering of its citizens. If you have a hard time believing that, take a look at the early church. The church bears fruit from the seeds of suffering through its saints. A more modern treatment of this subject can be found in the work of Phillip Jenkins. 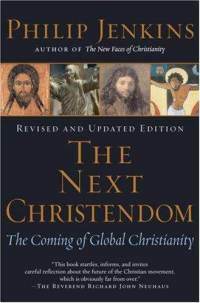 While sometimes bordering on “doom and gloom” prophecy, Jenkins has written a noteworthy book on the future of the global church with particular emphasis on the suffering that is to come. The conspiracy of silence surrounding this violent expression of religious intolerance has to stop. Nothing less than the fate of Christianity—and ultimately of all religious minorities—in the Islamic world is at stake. I think my friends from Central Asia would disagree and so would the Bible. It’s by means of the suffering that the Gospel is moving forward and no matter how much the Islamist powers that be want to stamp it out, kill it, or burn it, God’s kingdom continues to move forward one martyr and burned church building at a time. We dont’ fear the suffering (and we certainly don’t run after it either), but rather we continue to endure patiently and faith-fully knowing that our citizenship is not on earth, but in heaven, from which we await a coming Savior. He suffered as well, but it brought victory, not defeat.